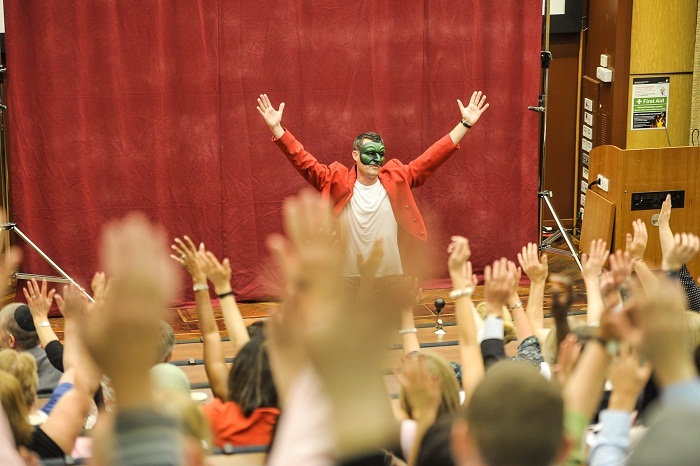 Why rely on a traditional format of keynote speaker and Power Point presentation when you could have a dynamic, bespoke, theatre performance designed to instantly engage your audience and provoke interaction, discussion and debate? Designed in consultation with the commissioning agency, performances are created to closely mirror experiences that audiences may face in their professional roles. Discussion time is built into the structure of performances and can focus on exploring the on-stage character’s thoughts and feelings, giving advice to those characters and exploring the particular needs of client groups, individuals or the agency / agencies as a whole. Every year we tend to deliver at approximately 50 conferences. We would generally consider commissions to deliver performances from a wide range of social welfare agencies, including probation, prison, education, health, VCS, adult and children’s social care, military welfare and Safeguarding Boards. [Geese’s] experience means that they have a real talent to listen to the needs of the organisation and reflect exactly the message through drama. This unique approach is very powerful and is much better than any other communications of training event I have ever run. I just wanted to say how impressed I was with the whole day. I was hooked in and loved the performance and the learning from it was crystal clear. Who would have thought interactive drama would be a really effective way of learning about attachment and supervision! Beats lectures any day. Keep up the good work and thank you.